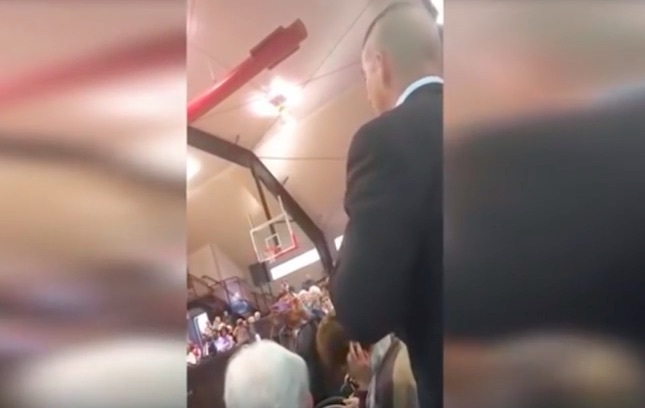 Video shows former president, Bill Clinton, giving a speech in South Carolina when he was interrupted by a former Marine. The Marine asked him to address what Hillary Clinton was going to do about Veteran’s Affairs. He was then booed by the audience and escorted out of the building. Another woman jumped up and started shouting in his place and she was also removed from the building. Clinton supporters prove they hate the truth and verterans. Clearly these Clinton supports in this video are evil beyond measure.